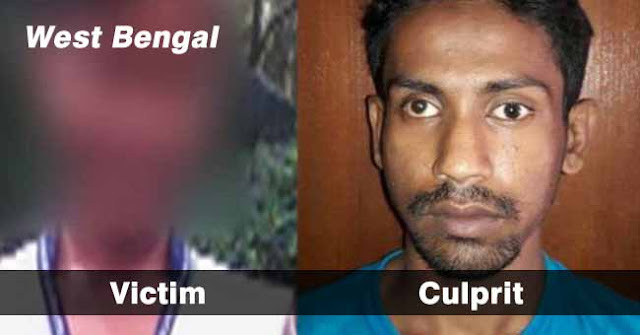 The former lover of the 17 year old girl who allegedly committed suicide on Monday has been arrested by the officers of the Bishnapur police station. Mithun Naskar has been accused of abeting the girl’s suicide. As per the girl’s family, the girl and Mithun had an alleged affair but it broke a few months ago. Post this; the Mithun started posting obsene pictures of her in facebook. The family had continuously requested Mithun to withdraw such obsene posts and pictures, but all in vain. Mithun Naskar did not restrain from posting pictures. This led the teenager to commit suicide, as alleged by the girl’s family. The 17-year-old girl in West Bengal’s South 24-Parganas allegedly committed suicide after facing humiliation when a youth uploaded obscene photographs of her on the social media, her family members claimed on Monday. The minor was in a relationship with a 20-year-old youth two years ago but the couple had parted ways, family said. “The boy was mentally harassing her and had threatened her. On Sunday night, the boy posted obscene pictures on Facebook,” said the deceased’s cousin. The girl’s mother had then apparently called up the police station but was redirected to the duty official. As it was almost midnight she had decided to visit the police station in the morning. “However, before anything could be done, the daughter committed suicide,” the cousin said. The deceased “continually cried” after the photographs surfaced on Facebook, said her family. “The boy did not just stop at threatening the girl, but even warned her mother not to meddle,” said Piu, a relative. According to Chairperson of West Bengal Commission for Women Sunanda Mukherjee, the incident comes under cyber crime. “There is a greater need for awareness,” Mukherjee said.